It is time for your team to complete a review! You are a review admin and are ready to set up a review cycle. You may or may not be a participant, and you may or may not be a manager. You do not have to be a participant in a review cycle to be a review admin. If you are a review admin, but not a participant, you will still receive emails along the way. For what to expect as a review admin, keep reading. Below is an outline of the specific actions that a review admin needs to be complete. These actions cover before, during, and after a review cycle. A revolutionary performance management practice that supports employees on their journey of success, instead of just giving them a grade. Follow the steps below to customize the settings for review cycles. These settings are the global review cycle settings. Every new review cycle will follow the selected settings. NOTE: Changes can be made to these settings up until the start date of your Best-Self Review cycle. However, changes made to these settings after a cycle has been activated will not retroactively apply. Due to the often sensitive nature of reviews, a specific review administrator(s) need to be assigned. These administrators will be able to create review cycles, question templates, and view all in progress and completed review answers. Select your review administrators here. Review admins don’t have to participate in a review cycle to see progress and results. Our reviews are company-wide, but we understand there might be people you want to exclude from the process, like contractors or interns. This is a global exclusion from all review cycles. Globally excluded groups or individuals cannot be participants, will not be asked to complete a self review, will not be asked to complete manager reviews, will not be asked to complete an upward review, and cannot be nominated as a peer. This setting is not the same as excluding a group or individual from a specific cycle. Privacy is a big deal, which is why we want you to choose the ideal visibility setting for your organization. Hierarchy visibility: Review answers can be viewed by the individual, their manager, anyone above their manager, and review admins. Basic visibility: Review answers can be viewed by the individual, their manager, and review admins. Add your company values so we can include them in your reviews. Values that are added after the cycle has begun will not be retroactively included. We recommend each employee nominate three to five peers. Control the minimum and maximum number of peers an employee can nominate. Control whether the employee being reviewed can see peer answers listed by name. Fully transparent: All peer answers will be transparent to everyone who can see the review. Peer identity is hidden from the employee: The employee will see peer answers as anonymous but the answers will be transparent to their manager, anyone above their manager, and review admins. Fully anonymous: All peer answers will be anonymous to everyone who can see the review. Control whether the manager being reviewed can see direct report answers listed by name. Fully transparent: All upward answers will be transparent to everyone who can see the review. Direct report identity is hidden from the manager: Direct report identity is hidden from the manager. Fully anonymous: All upward answers will be anonymous to everyone who can see the reviews. We encourage managers to share all peer and upward feedback to employees but this might not always be appropriate. Control what feedback is released. Kick off your review cycle with an announcement to your participants; give them insight into the review process, timeline and point people to get in touch with if they have questions. TIP: We recommend you introduce the review cycle to your team members. We’ll automatically include relevant information about the schedule and deadlines. Disabling the Best-Self Review feature will remove the tab from the main 15Five header for all users. All your review data will be saved in case you choose to re-enable this feature at a later date. After checking your review settings, you need to create a question template(s) for your cycle. You can use our default 15Five question template or you can create a custom template with your own questions. Self+manager reviews need their own template. Peer reviews need their own template. Upward reviews need their own template. You could have up to 3 different templates in one review cycle. NOTE: If you are using the default 15Five question template(s), you will not need to create a question template. You will choose the default template(s) when creating your cycle. What are your top 3 weaknesses? What do you feel went well this year? What would you like to accomplish between now and your next review? What are the challenges you feel we face as a business this next year? How can we be of more support to you in your role? What do you see as the next steps for your career growth? What are the top 3 skills you would like to improve on? Do you have the tools you need to perform your job? How can management support your role going forward? What position would you like to migrate towards in the future with this company? Are there any concerns you have with the company going forward? Go to your 'Reviews' tab from within your 15Five account. Click on the 'Question templates' tab at the top of the page. Find the question template you would like to preview. Click the '...' to the right of the template name, and then 'View'. Click on the 'Reviews' tab. Click on the 'Question Templates' tab. Click on 'Create a new template' button. Choose the reviews for which the template should apply under 'Template type'. Name each of the sections using the ... and 'Edit title', or leave the titles as the defaults; whichever fits better for your team. If changing the titles, please read the tooltips to ensure your new title aligns with the goal of the section in question. Under each section, enter in your questions by clicking 'Add a new question'. To change the answer format for your question or to set the question as group specific, click on 'Show advanced options'. Review your questions and if all is well, click 'Looks good'. Now you are ready to create a Review cycle! Click on the '...' next to the template you would like to duplicate. If you have already added your questions and want to adjust the order in which they appear, you can drag and drop them into the order you want. To edit a template, click on '...', then 'Edit'. If the 'Edit' option is not available, it is because the template is currently in use and cannot be edited. To reorder, just click on the six dots to the left of each question and drag! Private manager assessment questions are also managed through these question templates. The 'Private manager assessment' piece of Manager reviews is only visible to the manager who completed the review and the review admins. Additionally, the 'Private manager assessment' includes future focused questions inspired by research from Deloitte and highlighted in the April 2015 HBR article, Reinventing Performance Management, by Marcus Buckingham and Ashley Goodall. Questions 1 - 3 are taken directly from Deloitte, question 4 has been adjusted and Question 5 is 15Five's addition. Good work! You have added company values, created a custom question template (or are using the default 15Five template), and are ready to get a Best-Self Review cycle running. Then click on the orange button 'Create a new cycle'. Enter in the name of your cycle. For example: "Genericorp Q1 2018 Review"
Choose the Review cycle type. Next, decide who the Review participants will be. You can exclude certain people or groups, or can choose to only include certain people or groups. Select a question template, either the template you have created or the 15Five default. Enter in your dates for the review, called Review milestones. These dates are firm once the cycle is activated. Choose whether you want to repeat the review quarterly, bi-annually, or one time only. You can update this setting up until the cycle's start date. Confirm the visibility settings or manage them through the 'Manage settings' link. Review the kick-off email and click 'Create review cycle'. The kick-off email will be at 8:23 am in the company's timezone on the day the cycle begins. The email will not be sent when the cycle is created. NOTE: Edits to the cycle, settings, dates, etc can be made up until the cycle becomes active. To change an active review cycle's settings, see this article. Please do not change a participant's review once the cycle has started. See this article for an explanation on why changing a reviewer during a review cycle is strongly not advised. NOTE: Though you set a review cycle end date, the cycle will stay open for submissions until a review admin manually locks the cycle. TIP: We’ve designed the Best-Self Review feature to be lightweight, easy to schedule and easy to complete. Our recommendation is that you run your review cycle for a period of no longer than 4 weeks, but we believe in allowing you the flexibility of specifying your own milestone due dates. If you want to update a cycle or restart it entirely, we offer a way to clone an inactive cycle or update the cadence of an already active cycle. Find the review cycle you want to clone. Click on the '...' to the right of the cycle and click 'Clone'. The setup process will be the same as steps 3-10 above. Doing reviews at a company can feel like directing an orchestra—there are a lot of moving parts and people to manage. To take the burden off of review admins, we automatically inform review participants of important milestones and remind them when something is due. While most of our emails are automated, we do give people the option to nudge employees who need additional reminders. We allow admins to manage review reminder email in the review settings page. Below is an overview of emails sent during a Best-Self Review broken down by role: review admins, managers, and direct reports. Best-Self Review needs to be set-up prior to creating the first review cycle. An admin would assign review admins and fine tune the process according to the company's needs. An email is automatically sent to all of the admins in the account notifying them of the activated feature. When an admin assigns someone as a review admin, the person being assigned will receive an email to notify them of the change. An email is automatically sent to all of the admins in the account notifying them of the activated feature. A review cycle has ended email is sent on the day you specified as the cycle end date at 8:15 AM UTC (check this time). The email is sent automatically to all review participants and review admins. A review cycle kick-off email is sent on the day you specified as the cycle start date at 8:23 AM in the company's specified time zone. The email is sent automatically to all review participants and review admins. A reminder email for completing a self review is triggered automatically 7 days before the self review due date. This email is sent to all participants completing a self review. Admins can opt-out all participants from this email in the review settings page. A reminder email for completing a self review is triggered automatically 3 days before the self review due date. This email is sent to all participants completing a self review. Admins can opt-out all participants from this email in the review settings page. A reminder email for completing a self review is triggered automatically on the self review due date. This email is sent to all participants completing a self review. Admins can opt-out all participants from this email in the review settings page. A past due email for completing a self review is triggered automatically one day after the self review due date. This email is sent to all participants completing a self review. Admins can opt-out all participants from this email in the review settings page. When a direct report submits a self review, an email is sent to the manager. Admins can opt-out all participating managers from this email in the review settings page. A reminder email for completing a manager review is triggered automatically 7 days before the manager review due date. This email is sent to all participating managers completing a manager review. Admins can opt-out all participants from this email in the review settings page. A reminder email for completing a manager review is triggered automatically 3 days before the manager review due date. This email is sent to all participating managers completing a manager review. Admins can opt-out all participants from this email in the review settings page. A reminder email for completing a manager review is triggered automatically on the day the manager review due date. This email is sent to all participating managers completing a manager review. Admins can opt-out all participants from this email in the review settings page. A reminder email for completing a manager review is triggered automatically one day after the manager review due date. This email is sent to all participating managers completing a manager review. Admins can opt-out all participants from this email in the review settings page. After a manager completes the manager review, the next step is to schedule a meeting to discuss the results of the review. This reminder email to share the results of the review is sent 1 day after the manager review deadline. Admins can opt-out all participants from this email in the review settings page. When the cycle has ended Managers will receive a reminder to share and release results so both the Manager and Review will receive the Review Summary. Admins can opt-out all participants from this email in the review settings page. This is a reminder to complete your Self-review and is sent to note the deadline of the review. This is a reminder to complete your Manager-review and is sent to note the deadline of the review. This is a reminder to share review results with your direct reports so that they can see the Manager Review and receive the Review Summary. NOTE: Only administrators or review admins have access to review settings. How do I add a user to an active review cycle? We understand that you make changes to personnel often; Adding this functionality allows administrators more management power, and keeps the review cycle aligned with your current staff. Review admins can now add and remove participants from an active review cycle. Use the 'Manage participants' link in your review 'Overview' page. Assuming that you have not excluded users or groups from the review cycle, any person that is active in 15Five before the start date will automatically be added to the review participants. Review cycle participants can also be managed through the Review cycle settings page. This page can be found from the cycle overview page by clicking on the gear icon, and then clicking on 'Edit review cycle. NOTE: Participants can be added or removed up until the cycle is locked. Click on the ‘Reviews’ tab from your 15Five account. Manage your participants by clicking ‘Add to cycle’ or ‘Remove from cycle’. Once the participant has been removed or added, you should see a banner appear in the top right of your screen confirming the action. NOTE: When removing a participant from an active cycle, all activity and answers for this person’s review will be deleted. This action cannot be undone. How do I assign or edit review admins? Scroll down to the Best-Self Review section and click 'Configure'. 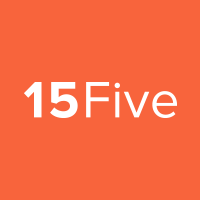 If you want to remind your team and gently nudge them to complete their Review 15Five will send them a nudge. Click on 'View review cycle'. Click on the '...' next to the user and then select 'Nudge'. At any time during a review cycle, a review admin or 15Five admin can run a progress report. The report includes all participants, a participant’s peers, a participant’s direct reports, submission dates, a participant’s answers, and multiple other fields. TIP: Due to the large amount of information that this report generates, we suggest filtering and sorting the data to meet your needs. Feel free to eliminate irrelevant information, as you can run another progress report at any time. From the ‘Overview’ tab, click on the gear icon and then ‘Download progress as CSV’. Your report should automatically download and appear in your Downloads folder. When do reviews become visible? NOTE: The level of visibility will depend on the review settings that were in place before the cycle began. Self reviews become visible to managers and review admins once they have been submitted by the employee. Peer reviews become visible to managers and review admins once they have been submitted by the peer. Peer reviews become visible to the employee once their manager decides to 'Share results'; usually after the final meeting. Upward reviews become visible to the manager's manager and review admins once they have been submitted by the employee. Upward reviews become visible to the manager once their manager decides to 'Share results'. For example: I am one of Charlotte's employees. I submit my upward review of Charlotte. Charlotte's manager is notified that I submitted the upward review and can view my comments. Once Charlotte's manager clicks 'Share results', Charlotte will be able to see my upward review of her. Manager reviews become visible to the employee once the manager decides to 'Share results'. The Summary becomes visible to the employee once the manager decides to 'Share results'. Locking a review cycle means that users will no longer be able to submit reviews or edit any details within the cycle. This should only be done when the review cycle is fully completed and all summary meetings have been held. NOTE: When locking a cycle, you will be asked if you would like to 'Release all unreleased reviews to teammates'. Checking this box will release all peer, manager, and upward reviews to each employee. Click the orange ‘Lock cycle’ button. Check or uncheck the ‘Release all unreleased reviews to teammates’. This box is checked by default. TIP: To confirm the cycle has been locked, go back to your ‘Reviews’ tab and check for a lock icon next to the cycle. If you need a locked cycle to be unlocked, contact 15Five Support.